Now we’re in Spain climbing on the rocks. It’s pretty nice weather (sunny, some clouds and almost perfect conditions for climbing, maybe sometimes a bit too hot). We’re sleeping a lot, eating well and having fun with friends playing games in the evening after dinner. 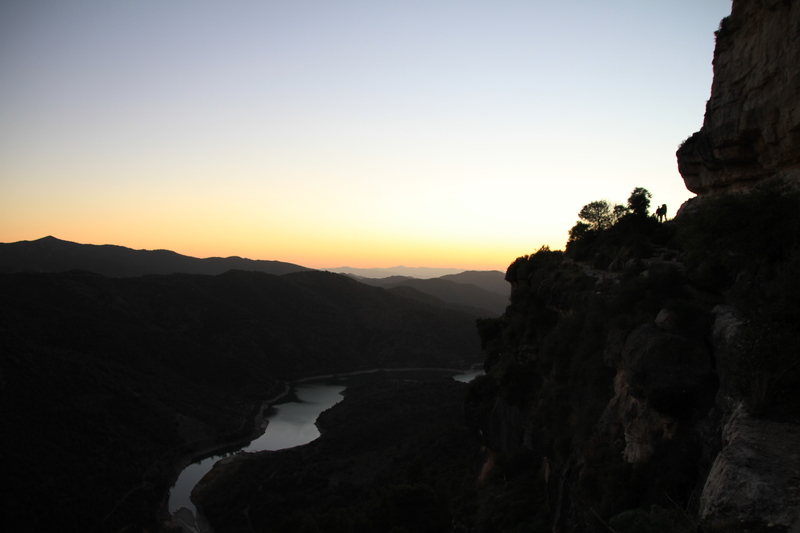 We’re also enjoying the nature in the region of “El Priorat” which is famous for its oil and wine, especially from Siurana. Currently we’re staying in Cornudella de Montsant in a comfortable apartment called “La Vileta” with really friendly owners which is just 10 minutes away by car from Siurana. For us Cornudella is “el pueblo de los escaladores – the village of the climbers” because as a climber you have the opportunity to buy your equipment at a climbing shop there and in general nearly everything what you need for the day. It’s a nice location to stay for a while! Today we went to the sector called “Can Piqui Pugui” in Siurana. David tried and finished “Renegoide” (8b+) on its left hand side. Ruben already did it in the beginning of this year. It’s a technical climb with a lot of crimps and slopy footholds like every route there. 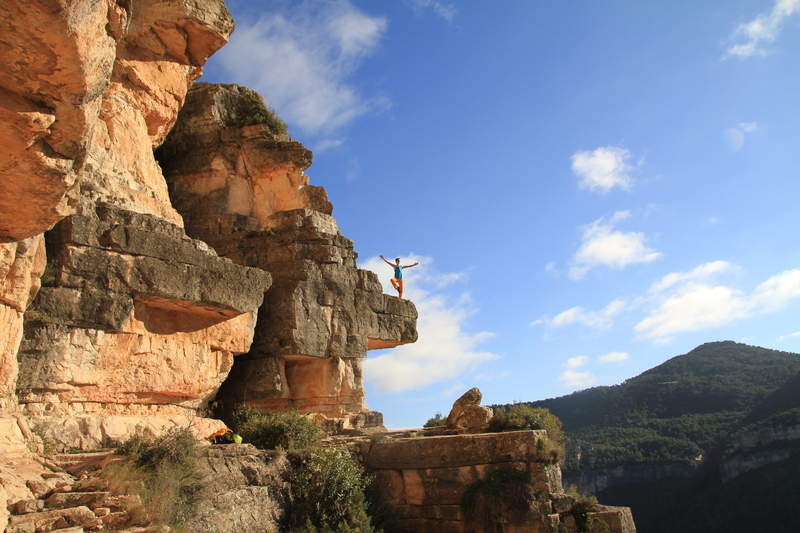 For him it was helpful to get used to the climbing style of Siurana. Now he can try some harder stuff! Ruben is pretty motivated and tries “A muerte” (9a) assiduously. It’s in the overhanging part in the middle of Can Piqui Pugui. There are some sharp holds and a bouldery sequence in the middle of the wall with long moves on pockets and crimps. “A muerte – until the death”, Ruben! Besides we have to say that we had a nice Christmas with great atmosphere and many presents. Now we will enjoy the last days of this year climbing and spending with friends. Have a good New Year’s Eve! Some days ago a good friend of us Mael Bonzom also did “Renegoide” in Siurana. Good job Mael! The last days a small group of us was climbing in Margalef. Yesterday David managed to climb “Darwin Dixit” (8b+) in a sector called El Laboratori with plenty of short bouldery routes. Today he finished “La perla” (8b+). It is a fantastic tufa climb with slopy and tiny footholds. It was a good technical training for him.